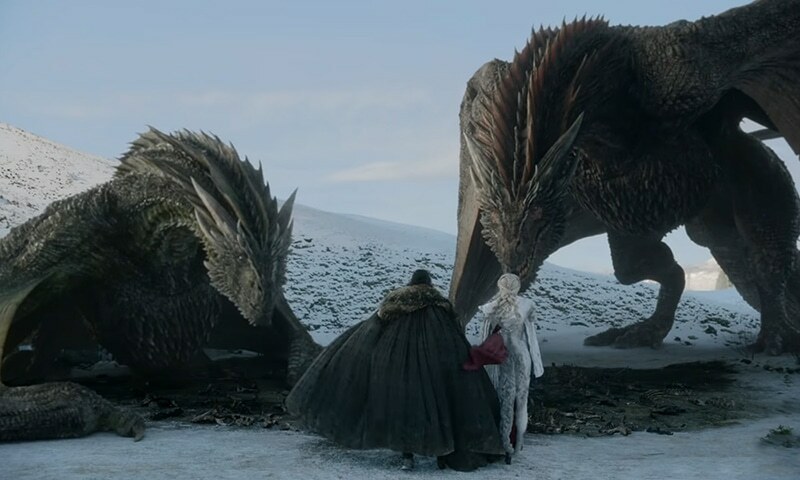 The ‘Game Of Thrones’ Season 8 Trailer: What All Did We See? Game of Thrones Season 8 Trailer is Finally Here. Since last one year, HBO gifted fans with various teasers that didn’t include any new footage for season 8, with even photos and posters revealing very less about the series. Finally, the gods seem to have answered our prayers and we have the trailer for Game of Thrones season 8. When the seventh season got over a couple of years back, Jamie Lannister was going north, Cersei Lannister was pregnant and deceiving everyone in King’s Landing, Jon Snow and Daenerys Targaryen were getting closer on their way to Winterfell, while Tyrion Lannister was worried on a boat. Game of Thrones season 8 trailer. It starts with Arya Stark wounded and running for her life. We also see quick shots of all the main characters in the new Game of Thrones trailer. This also includes a long-awaited confirmation that Tormund and Beric survived after Night King managed to break through the wall. The footage looks like a “How To Train Your Dragon” sequel, starring Jon and Daenerys. Headey revealed to HuffPost that she was in tears after the filming on Game of Thrones wrapped up. However, there’s no sign of that sadness as we see Cersei and Qyburn very happy about double-crossing everyone in North. Gendry also finally made an appearance, ending the infamous #Wheres Gendry campaign. And there are also many shots of everyone looking a bit concerned. Then, the Winter comes in, and the White Walkers come to Winterfell. Game of Thrones season 8 release date is set for April 14. Are you ready?